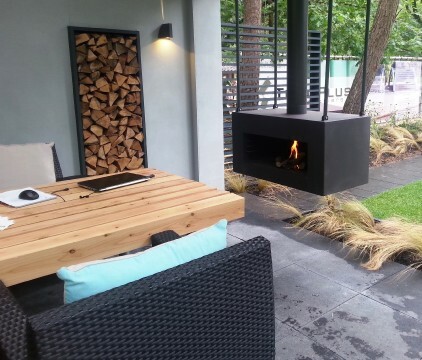 Outdoor fire pits and burners have been a staple in garden design over the past few years, due to their practicality and stunning aesthetic appeal. The use of CorTen Steel as a design material is also becoming an increasingly popular trend. Water Garden have put together a fantastic collection of high quality garden burners and fire features to add that warm, cosy feel to any outdoor living space. Our Outdoor Fireplaces aren’t just for looks; we have models such as the ENOK and STIG XL that look great as a fireplace but these burners can also be used as a fully-fledged outdoor oven when paired with optional grilling racks or pizza stones from our Fire Accessories department, giving you you’re very own unique garden kitchen. If you’re looking for something more understated, our range of solid fuel and gas Fire Bowls and Fire Pits are an easy way to add an elegant feature to your garden without compromising on space or function. These robust features are manufactured from heavy duty 3mm CorTen Steel that is untreated from the factory to give a raw, industrial styling. CorTen features are designed to age over time; being left out in the elements they will develop a stunning rusty patina. This rust will actually protect the surface underneath from any further corrosion, ensuring your burner will last for years to come. There are few things better that sitting around the fire pit, surrounded by friends and family, enjoying some home cooked food. 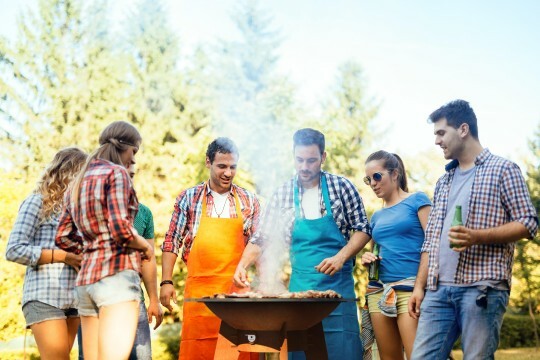 Our Outdoor Barbecues are designed to be easy to use and maintain so you can spend your quality time cooking, chatting and dining. The FORNO range of CorTen Steel solid fuel barbeques are simple to operate but have great features such as a carbon steel Plancha plate surrounding the fire that will hold heat for cooking or keeping food warm. The variable air control can be used to speed up or slow down cooking times and the top cooking rack is perfect for flame grilling. 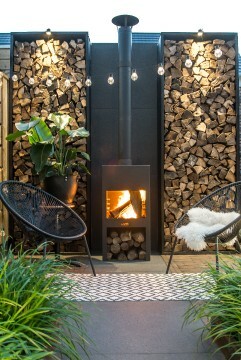 Incorporating any of our fire features into your garden’s design will provide a sophisticated and stylish appeal that will keep you busy trying to find any excuse to be outside, enjoying the atmosphere. Need help choosing? Talk to the team at Water Garden on 02392 373735 or email us at contact@water-garden.co.uk for expert assistance.